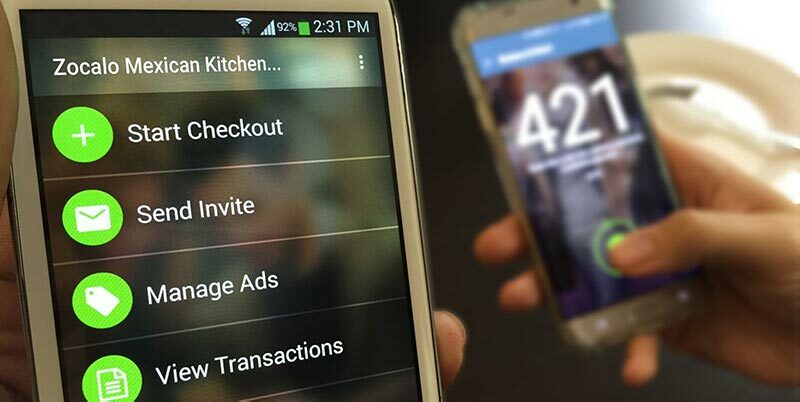 Midtown Atlanta-based Sionic Mobile provides low-cost payments bundled with mobile marketing and customer loyalty to businesses and instant rewards to consumers at checkout. The Company’s universal rewards, called IONs, help merchants keep good customers coming back more often and are awarded in addition to customers’ credit card points. Consumers may spend IONs (1,000 IONs = $1.00) at any merchant in the ION Marketplace on anything at any time. Businesses use ION Loyalty® securely online, on mobile devices, or through their POS system, eliminating the need for new equipment. Consumers use the free ION Rewards® app for iOS and Android for in-store checkouts. For their cloud app development, Atlanta based software developers were needed for Sionic Mobile to remain agile. "Ryan and the Websuasion team are a pleasure to work with - producing deliverables on time and within the original proposed budget. We're continuing our relationship with them as we continue to grow and transition our brand and digital assets." 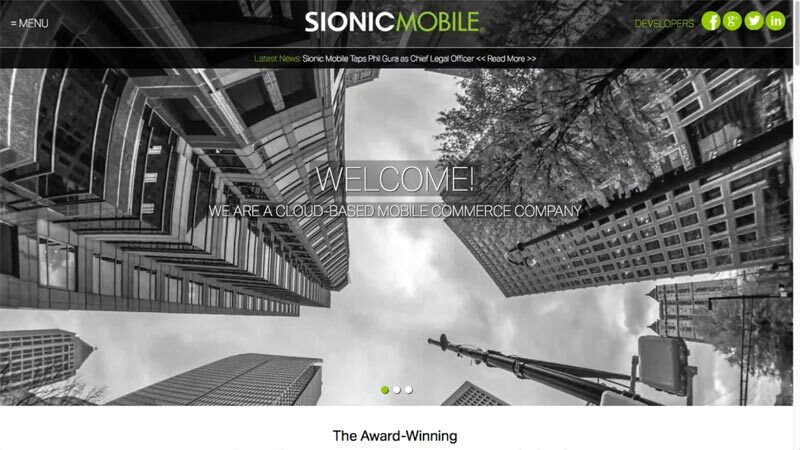 For the Sionic Mobile corporate site, we utilized a clean design with a combination of black and white photography in the site headings and contrasting color imagery with parallax and animated elements in the site body. We crafted the initial marketing content to outline their robust payment technology as succinctly and clearly as possible. This site was primarily aimed at potential partners and investors. As with all Websuasion designs, we provided custom responsive styling for desktop, mobile, and tablet. 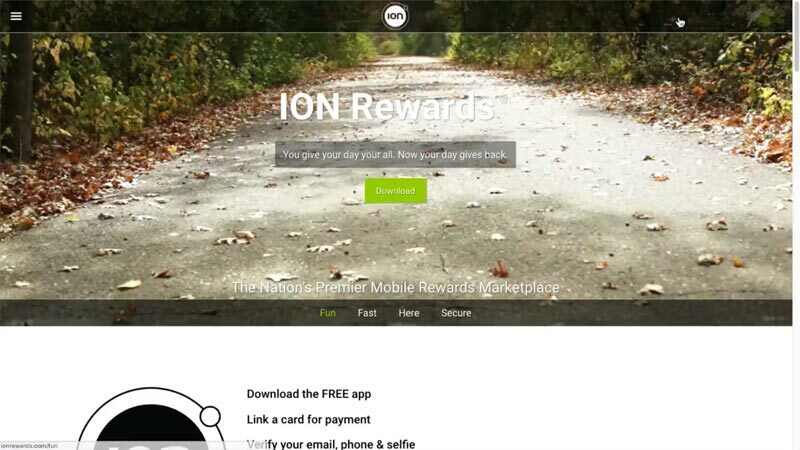 The ION Rewards® website was aimed at end-users of the payment and rewards platform. We took a fun approach to the ION Rewards site, adding lifestyle videos along with animation to illustrate how ION Rewards becomes a part of your daily life. The biggest challenge was explaining the benefits of using the system without getting unnecessarily technical. We focused the marketing content on the ease of use and reward benefits their customers received. At each point in the website presentation, users are prompted to download the iOS and Android app, which then leads the user through a simple setup process. In 2014, we created the ION Loyalty® website for Sionic Mobile, which was aimed at merchants. 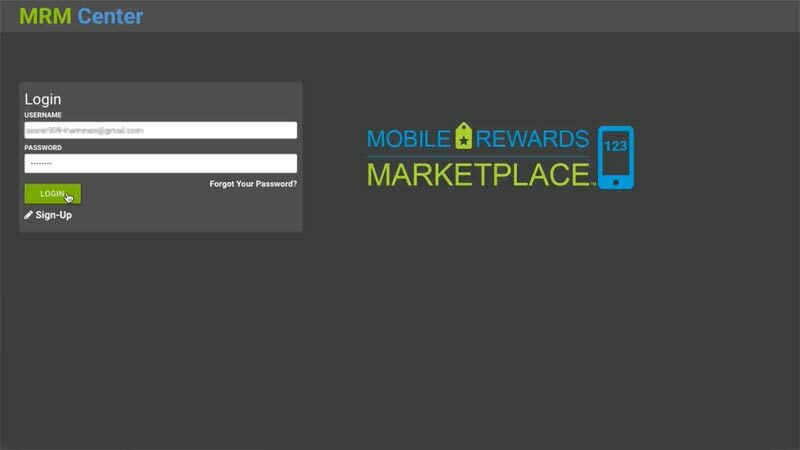 In 2017, the ION Loyalty program was rebranded as the Mobile Rewards Marketplace™ and our team was asked to create a new site design as part of the change. The redesign was prompted by a shift toward providing white-label payment and rewards services and custom mobile apps for their partners. 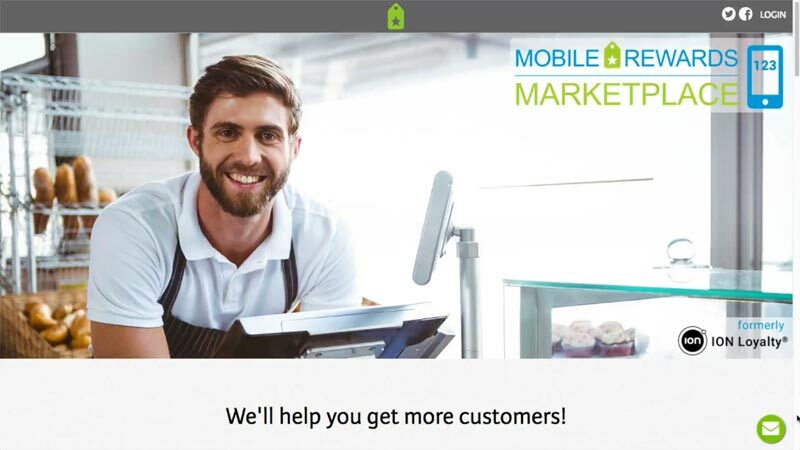 The challenge was how to best present content so that it worked not only for Sionic Mobile's own direct merchant relationships, but also for merchants who came in via a partner. The revision altered the content and site assets to showcase the features in common to each scenario. 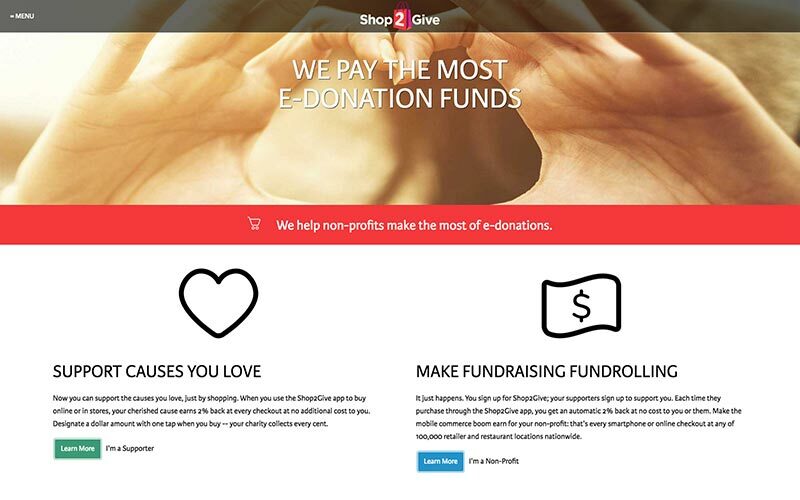 In 2014, Sionic Mobile had an additional mobile app that was designed specifically for generating donations to your favorite causes each time a purchase was made using the Shop2Give app. In 2015, our initial role of web design was expanded to include programming of the MRM Center portal. For their portal app development, Atlanta based Sionic Mobile needed a solution that would allow businesses to manage their account, locations, users, advertisements, and gift cards. The portal we developed integrates with Sionic Mobile's API server and includes detailed reporting functionality, image upload and management, user management, multiple user roles, google map integration, and much more. The MRM portal manages seven distinct business types -- enterprise, merchant, wholesaler, reseller, agent, foundation, and fund -- each with their own custom functionality. Additionally, we created an administration level providing Sionic Mobile the ability to manage all accounts for customer service and support tasks. For their investor app development, Atlanta based Sionic Mobile needed a custom portal solution. In mid-2015, developed a secure investor portal which would allow Sionic Mobile's investors access to information regarding the value of their current holdings. We created a system with separate administration and investor functionality, allowing Sionic Mobile to easily keep their investors up to date. On a continual basis, we serve as tech consultants for Sionic Mobile's ongoing projects, while providing server maintenance, and hosting of the existing sites. We work closely with their product team, the quality assurance team, and other third-party providers to ensure a productive and efficient development cycle. J. Ryan Williams is president and founder of The Websuasion Group LLC. He has over 20 years of application development experience. Ryan has experienced the challenges of changing technology and growing a business. Having benefited from mentors throughout his career, he now works to mentor others.